How much does a sheriff make in Michigan? There are 83 Sheriff’s Offices in the state of Michigan, all under the Michigan Sheriffs’ Association. They are responsible for the policing needs of their respective counties and work towards providing better services to the citizens. If you want to become a sheriff in Michigan, you will need to follow a series of steps. Keep in mind that these steps and requirements would vary from county to county and must be treated as a general set of guidelines. For detailed information, you will need to visit your county’s official website or their office. Once you have ensured you meet all the basic qualification requirements, you need to begin the actual process of becoming a sheriff in Michigan. To begin your quest for becoming a sheriff in any Michigan county, you will first need to complete a police training academy. This academy will help you learn the essential skills needed to operate successfully as a county’s sheriff. You will gain knowledge about arrest processes, constitutional law and witness questioning, among other things. Once you finish your police training academy, you will have to get some law enforcement experience. This could be one year of experience in some cases, or can even go up to five years on the duty – all dependant on the exact requirements of your county. This step is not mandatory in most counties. However, getting a higher education degree can help you improve you performance as the sheriff. An associate or a bachelor’s degree in any law enforcement related major would likely improve your job prospects and will make voters feel more confident in your ability to serve as the leader of a county. To officially run for the position of sheriff in any county, you would have to go through a process. This would involve clearing a written exam and an interview, followed by passing an extensive background check and a physical fitness exam. After fulfilling these requirements, you will need to gather all your relevant paperwork, including your education and work experience details, and file them before the deadline. You can do this by visiting the county courthouse. Make sure all your documents are complete before you submit the application. Now comes the difficult part. You will have to plan out an extensive election campaign that highlights your plus points and tells the voters why you are the best candidate for the job. It is advisable that you put together a campaign committee, to help you with the whole process, including the fundraising activities, media interviews, passing out fliers and generating interest in your campaign. If you win, you will be asked to take an oath of loyalty and sign a complete employment contract outlining your obligations. You will be serving a term of four years, as per the rules of most Michigan counties. The US Bureau of Labor Statistics lists the category of Police and Sheriff’s Patrol Officers in its list of occupations. This category made an annual mean income of $55,780 in Michigan, as of May 2017. O*NET OnLine shows a 7% job growth in this field. The number of people employed under this occupation was 18,470 in 2016, which is expected to grow to 19,690 in 2026. 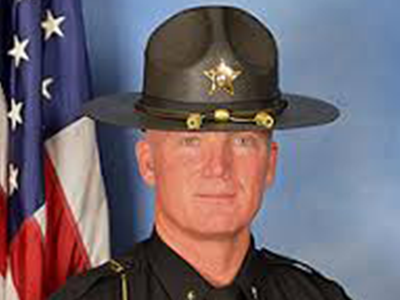 The job prospects for sheriffs in Michigan are looking bright in the upcoming years – so if you are planning to apply for this position, now would be a great time.